Hoa Pham interviews local Melbourne artist Phuong Ngo about his work at the National Gallery of Victoria for Melbourne Now the largest exhibition in NGV’s history, featuring 300 artists, architects, designers and creative practitioners. How would you describe what you are doing at the NGV? 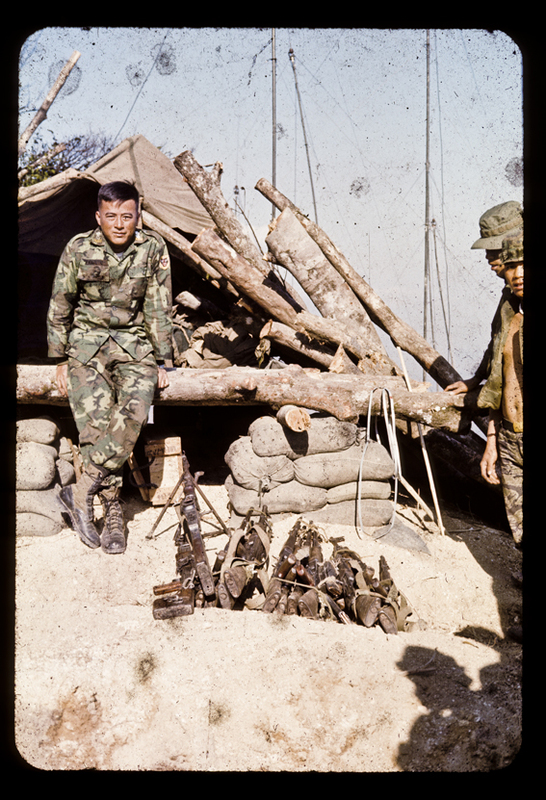 In 2010 while scrawling ebay for art supplies I came across a collection of slides that were shot in Vietnam during the war by a solider that spent time there erecting telegraph poles in the DMZ. Out of curiosity I negotiated a price with the seller and bought them (which in hind sight was a very good deal). The images in this collection were quite simply amazing; from dramatic events like a helicopter crash to RR in Sydney. 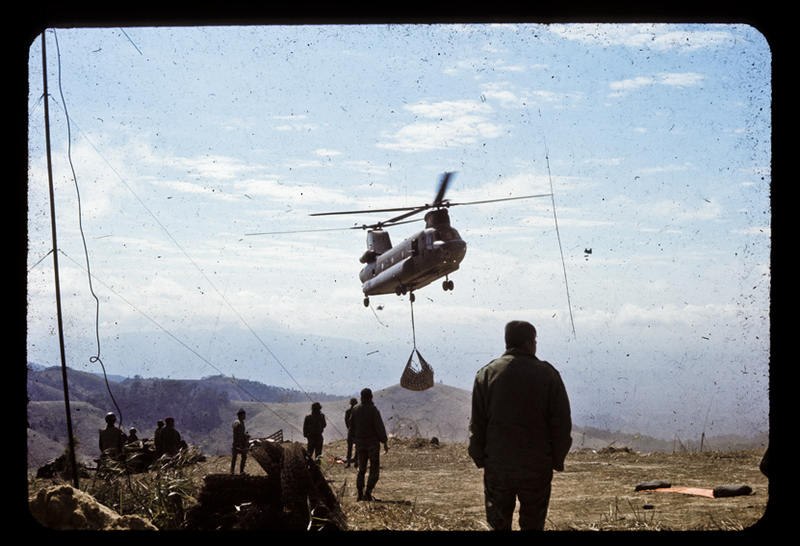 This find started me on a project which is still ongoing today and which I have called The Vietnam Archive Project. 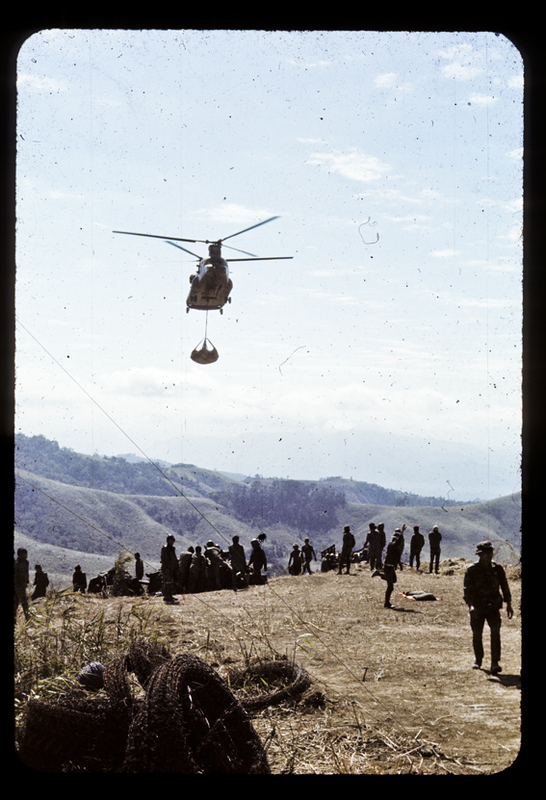 It has expended to 2500 slides, hundreds of photos, postcards, stereoscope slides and paraphernalia that spans the history of Vietnam. It has helped informing my practice and has been used as an invaluable research tool. For Melbourne Now I will be curating a selection of over a thousand of the slides that will be displayed on custom made light box tables inviting the public to sit and quietly look at the images, to see the slides come to life when illuminated from below. It is an invitation to share in these rare views and consider the impact and legacies of this period in Vietnamese history and how it continues to impact on aspects of Australian culture today. How has your Vietnamese origin influenced your art practice? I believe that all art is inherently about the person who created it, in some instances it is very direct and in others not so. In my case it is my need to understand personal and collected identity that drives me to make art. I am often confounded by the fact that I feel the most Vietnamese in Australia and the most Australian when I am in Vietnam. It is this conundrum and cultural purgatory that interest me to make work that deals with identity politics, culture, displacement, history, memory and place. Along side this is the need to immortalize and honor the experiences of my parents and the generation that came before me. I often use my practice to try to understand and get closer to the experiences of my family, in particular my parents as boat people; despite the inevitable in ability to do so. What has the reception been like of your previous work? Having a relatively young practice (I only finished study in 2012), it is still hard to gage what the general response to my work is. Having said that the correlation of my work and contemporary politics of boat people cannot be ignored, and responses to this stream in my practice has been quite positive. It is interesting to note that the scope of people who respond to the politics in my work range from those who have had parents that arrived in Australia as refugees after WWII to recent migrant. I think that the most contentious issue that I have had to deal with in my practice is the referencing of Vietnamese communism in my work. Quoting history through images can at times be misread and this can lead to offence. In a 2011 I exhibited a work called Domino Theory at the Centre for Contemporary Photography that re-imaged Cold War political policy through the history that lead to Western engagement in Vietnam. To make this work I utilised images of key political figures raging from Stalin to Kissinger; including Ho Chi Minh. This did not go down well with some Vietnamese who misinterpreted the work, primarily because the catalogue produced didn’t give show the scale or scope of history that was being looked at.